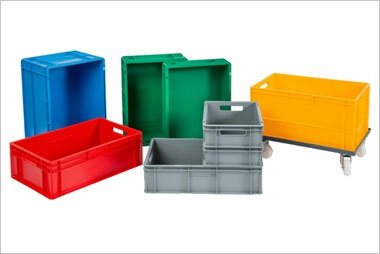 This entry was posted on March 22, 2018 by Goplasticpallets. 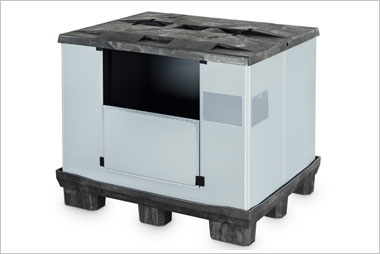 The solution for bulk storage where space is at a premium has arrived at Goplasticpallets.com. 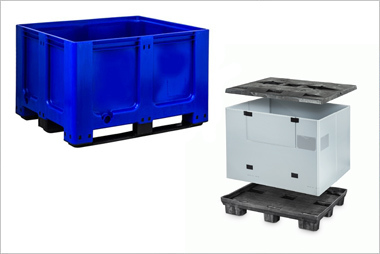 The GoPalletBox 1060S 4C/4F is a 300 litre, injection moulded pallet container, made from recycled High Density Polyethylene. 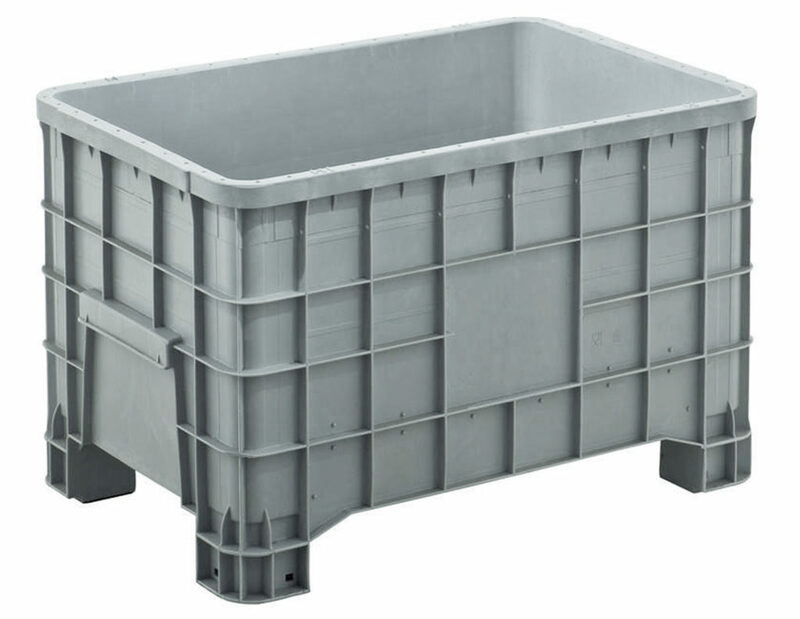 Its size, weight and the easy addition of castors make it first choice for maneuverability and simplicity of handling. 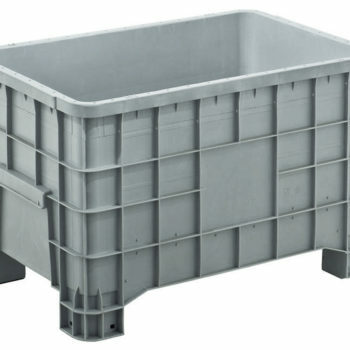 Available through GoPlasticPallets.com under sole agreement with manufacturer JCO Plastic, the smooth interior of the box makes it easy to clean and prevents the opportunity for dust, dirt or ingredients to gather in joins or ridges. Each box weighs 150kg and can be stacked up to six high. It measures 1000mm long, 635mm wide and 645mm high (745mm with castors) externally, and 925mm long, 580mm wide, 520mm high internally. 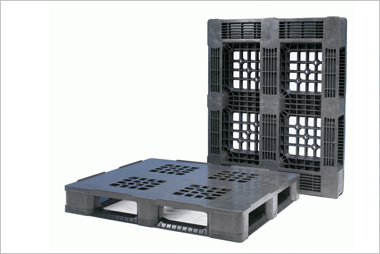 Goplasticpallets.com is the UK’s leading independent supplier of plastic pallets with 160 different varieties to choose from, many available for next day delivery. 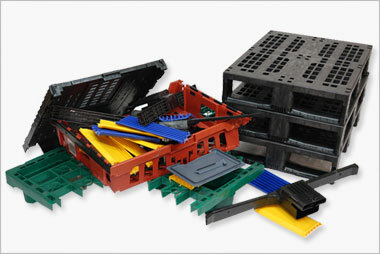 New bi-coloured harvest crates – the pick of the crop!